Today we are still writing about Washington D.C. Again, there is so much here. 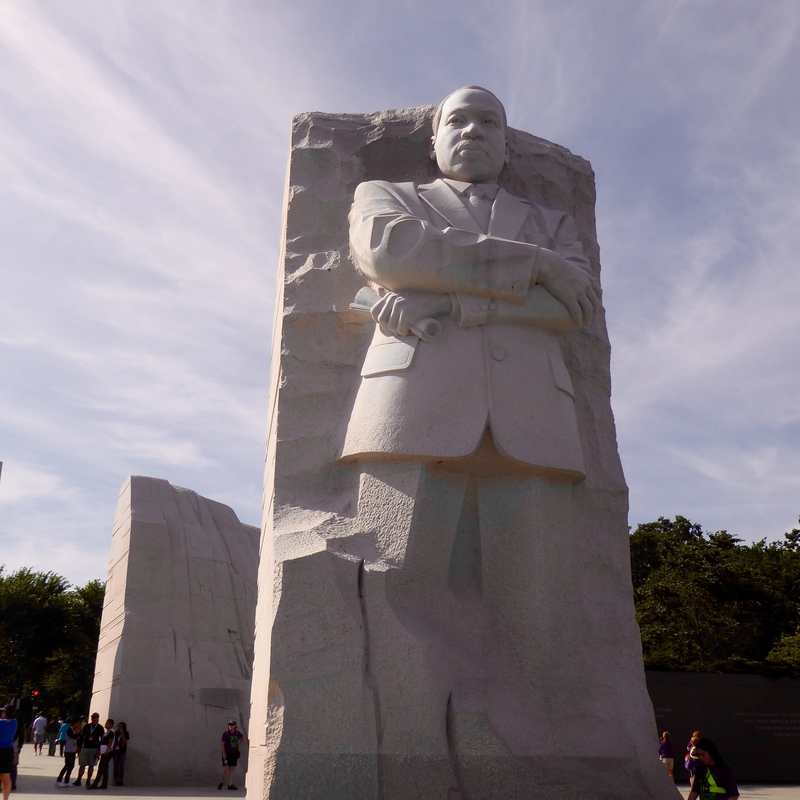 This memorial honors the memory of Dr. Martin Luther King, Jr. Dr. Martin Luther King, Jr. was a leader in the Civil Rights Movement of the 1960s. He, like Gandhi, believed in peaceful protest. Millions of people followed Dr. King in this peaceful protest. As a result, Congress passed the Civil Rights Laws. This says Out of the Mountain of Despair, A Stone of Hope. 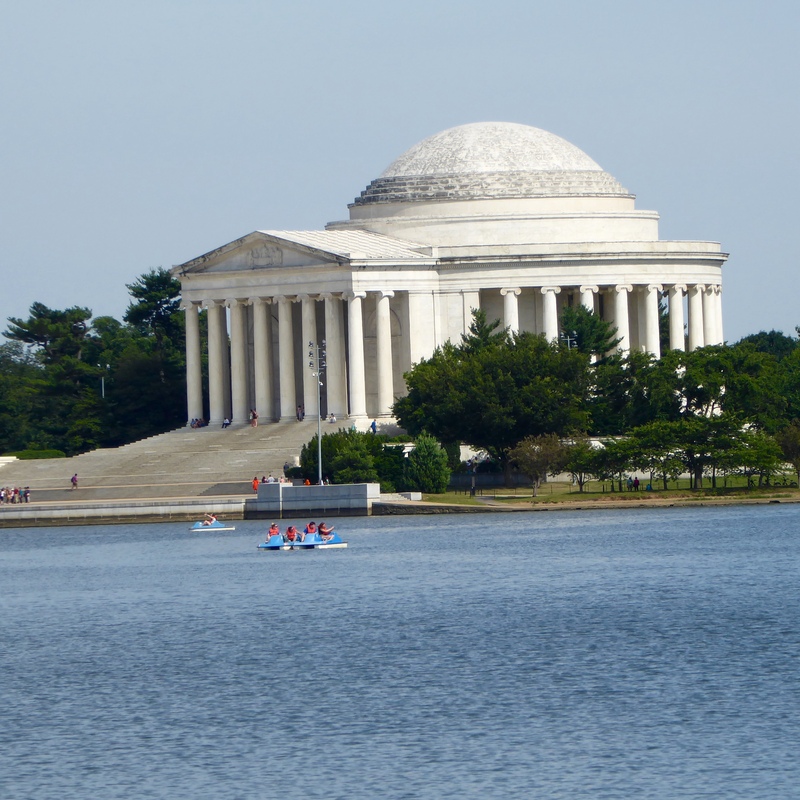 Here is a view of the Jefferson Memorial from Martin Luther King, Jr. Memorial, across the Tidal Basin. 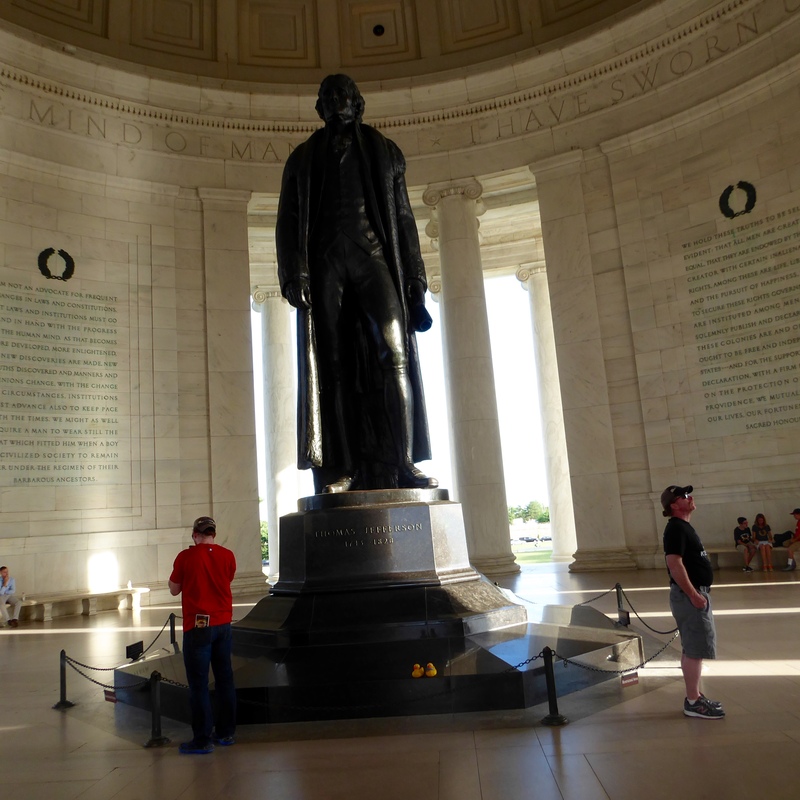 A statue of Jefferson is inside the memorial. We bought tickets for the Big Bus Tours. 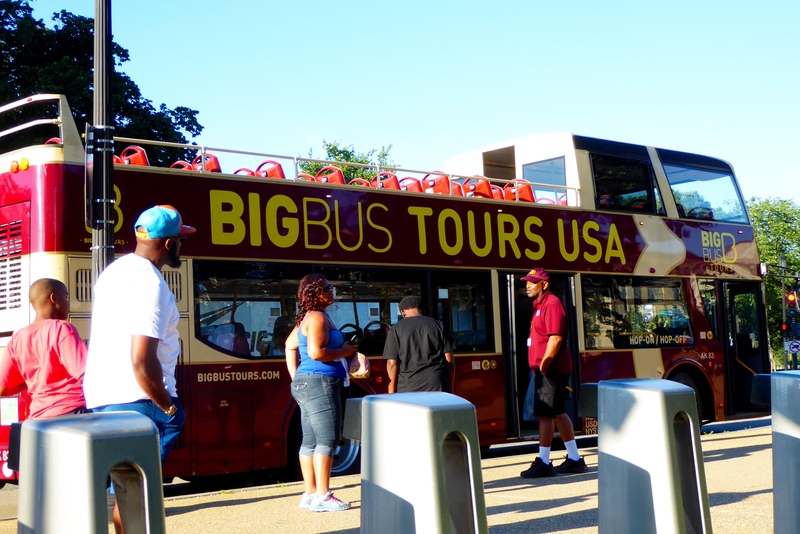 Big Bus Tours in Washington D.C.
Our driver didn’t seem to follow the advertised route and did not tell us where we were going, but we went to Arlington Cemetery. 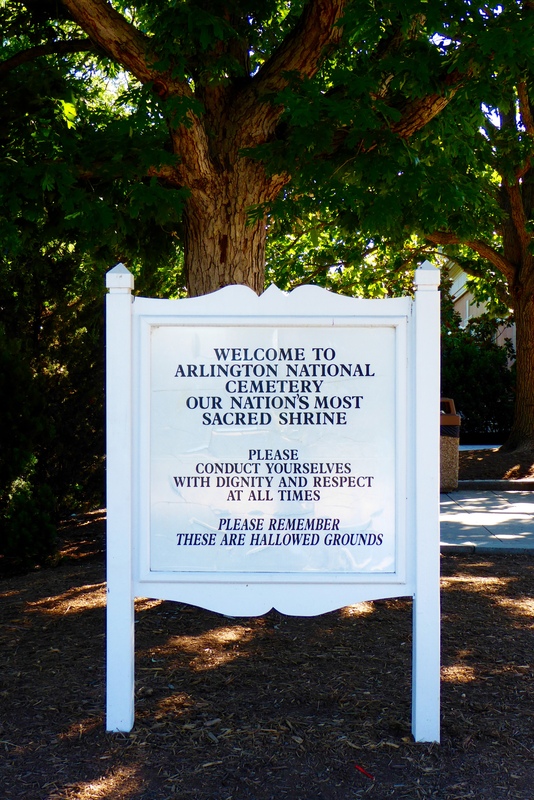 Arlington is the largest National Cemetery in the United States. 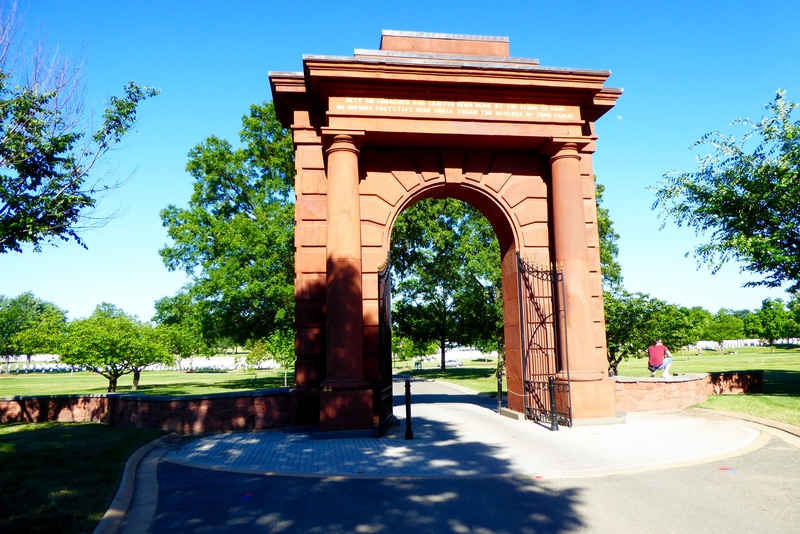 This arch caught our attention. Seeing so many neat, orderly tombstones is a very moving experience. 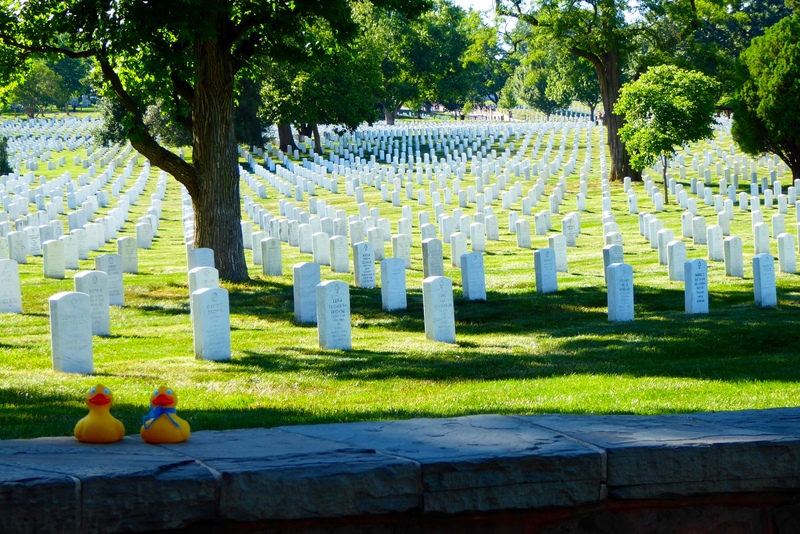 It is true that we love all the monuments, but we Colorado Traveling Ducks want to know about everything. 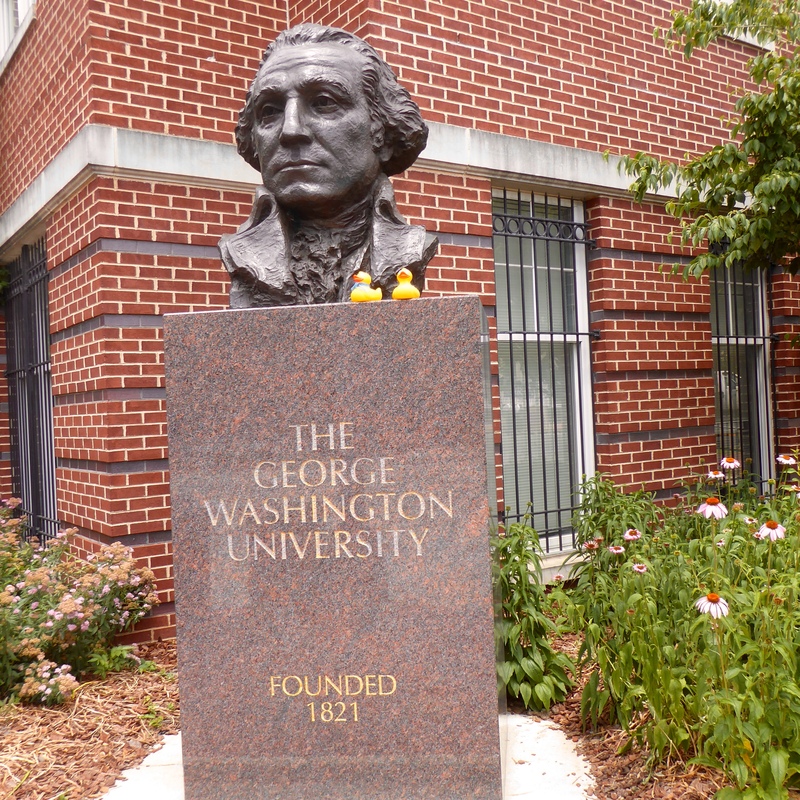 So, here we are at George Washington University. We stayed in this area so we visited the university often. 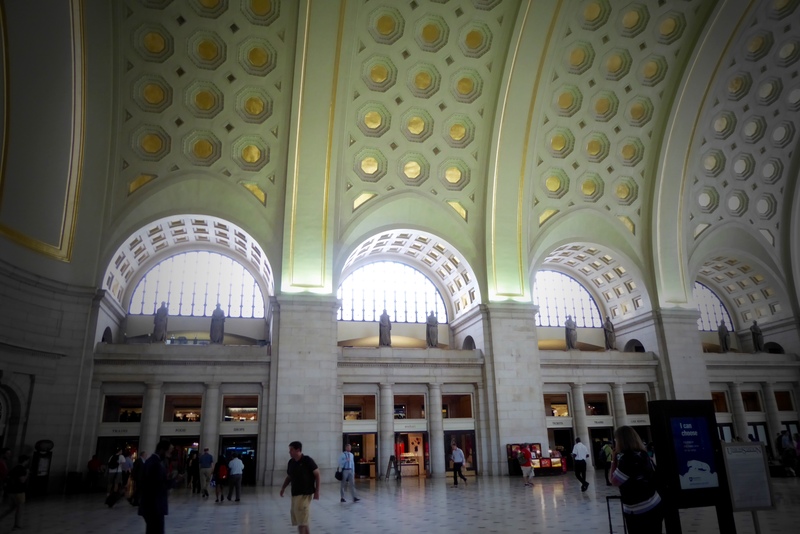 We visited Union Station train station. Such a beautiful, old building. 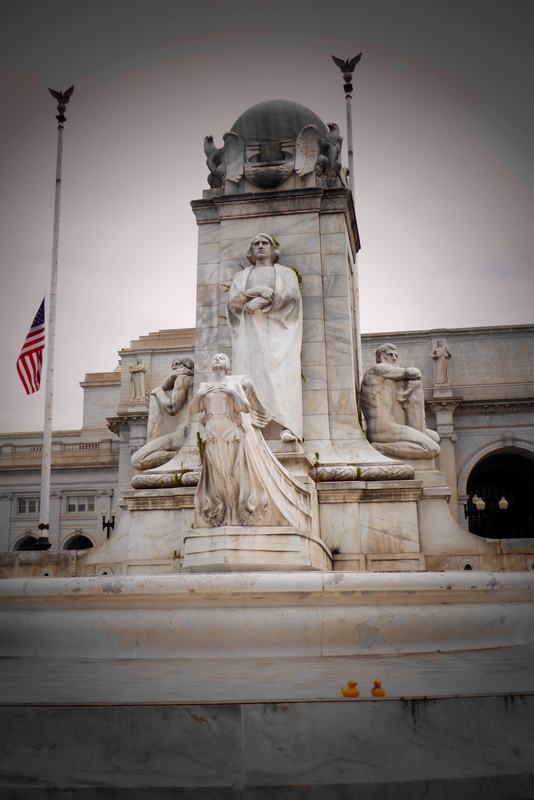 In front of the train station, this statue recognizes Christopher Columbus. The ball on the top represents Columbus realizing that the world is round, not flat. The old man represents the Old World and the young man represents the New World. The explorer, of course, is Christopher Columbus. We then took a night tour of Washington DC. This was better as there was a narrative to tell us what we were seeing and give us a little history about the area. The bus tour we continued the following day was also very good. 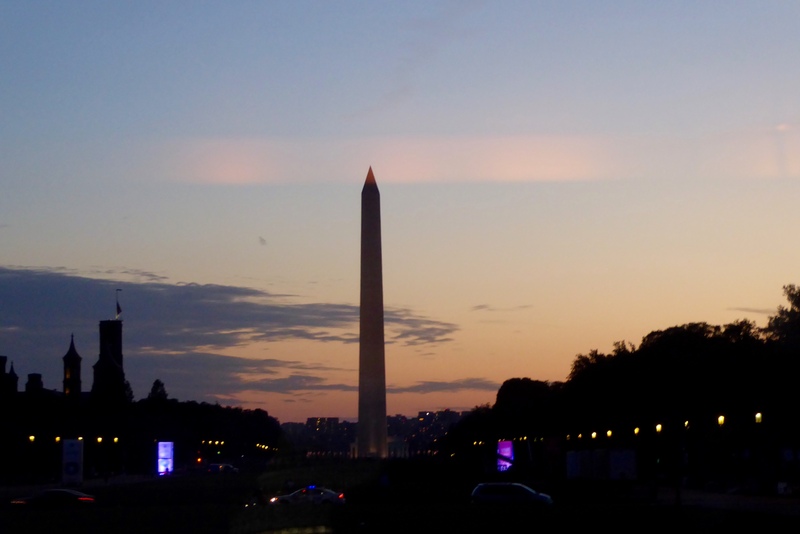 We liked the Washington Monument at night. And, no tour of Washington DC would be complete without a photo of the White House. 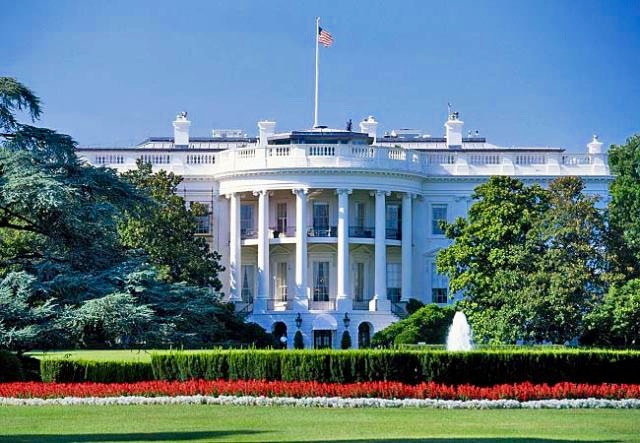 Of course, the White House is the home of the president of the United States of America. We did not take this photo, it was available, free, online. We did like this photo better than the ones we took, and we wanted to show you the best. Washington D.C. has so much to see. There just is not enough time to explore everywhere. 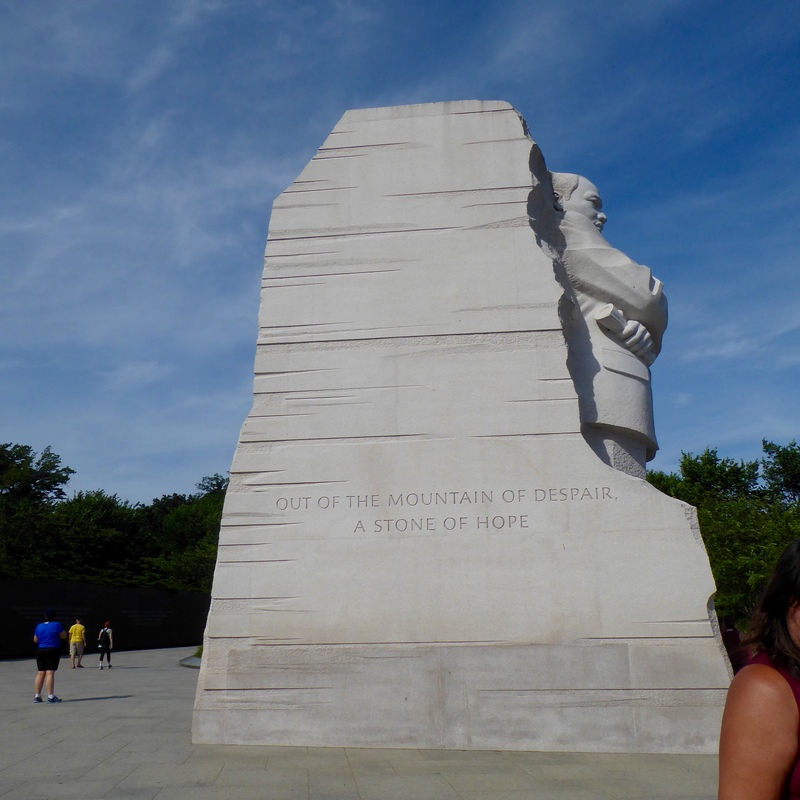 This entry was posted in Uncategorized, Washington DC and tagged Arlington National Cemetery, Colorado Traveling Ducks, Dr. Martin Luther King Jr, Jefferson Memorial, Washington DC, White House. Bookmark the permalink. 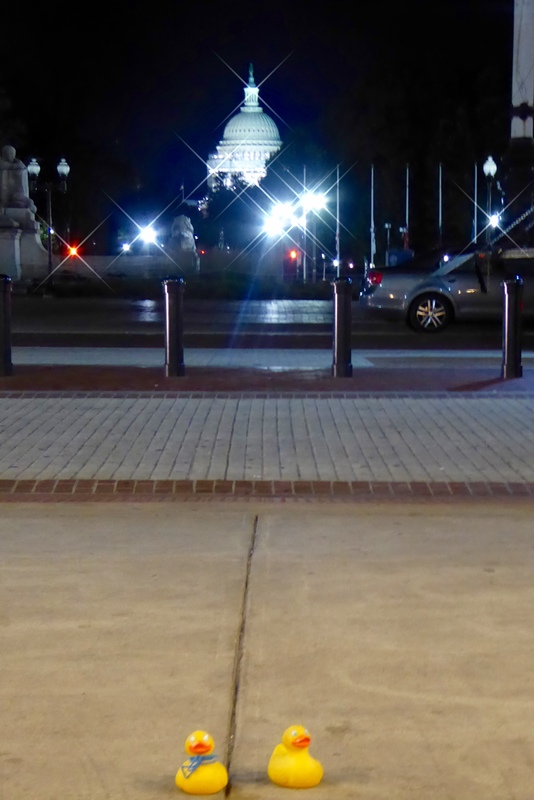 I love your night time photos, especially with the Capitol Building in the background. I’m enjoying my tour of Washington. Thanks. We enjoyed it also. Thanks for reading and commenting. If only more people believed in peaceful protest. The world seems to have gone mad lately. I certainly agree. Peaceful protest works–violence not usually. Thanks for reading and commenting.